Used 2011 Ford F-150 XL 8-ft. 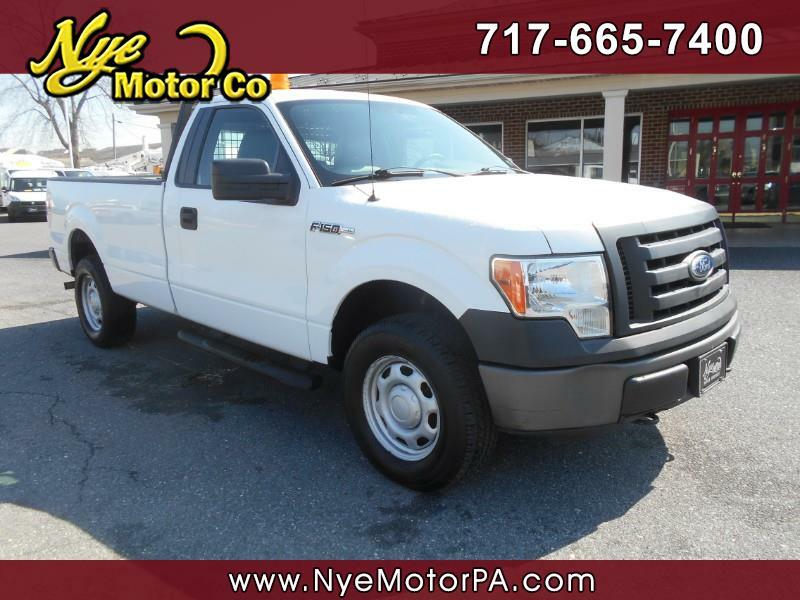 Bed 4WD for Sale in Manheim PA 17545 Nye Motor Co.
****1-OWNER****CLEAN VEHICLE HISTORY REPORT****4-WHEEL DRIVE****REGULAR CAB****EIGHT FOOT BED****HARD TO FIND**** Check out this hard to find 2011 Ford F-150 XL with only 119K miles! Outfitted nicely with an Eight Foot Bed, 4-Wheel Drive, Am/Fm, A/C, Heat, Cruise, Tilt, Bed Liner, Tow Hitch, Back Rack, Running Boards, Power Options, and More! Call today to schedule your test drive.